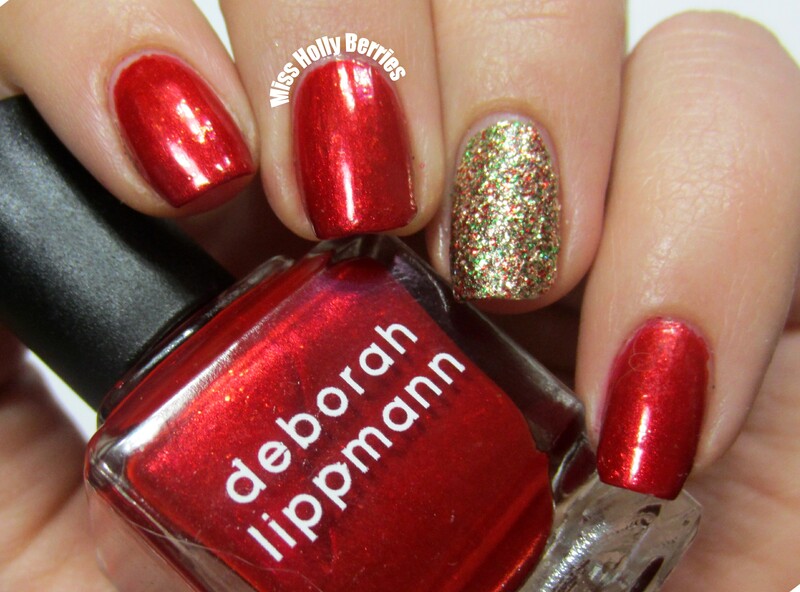 Deborah Lippman Christmas In the City Trio! I have a weakness for Deborah Lippmann! So back in the beginning of November when I found a limited edition trio for the holidays, I didn’t even look at the price tag before running to the checkout. 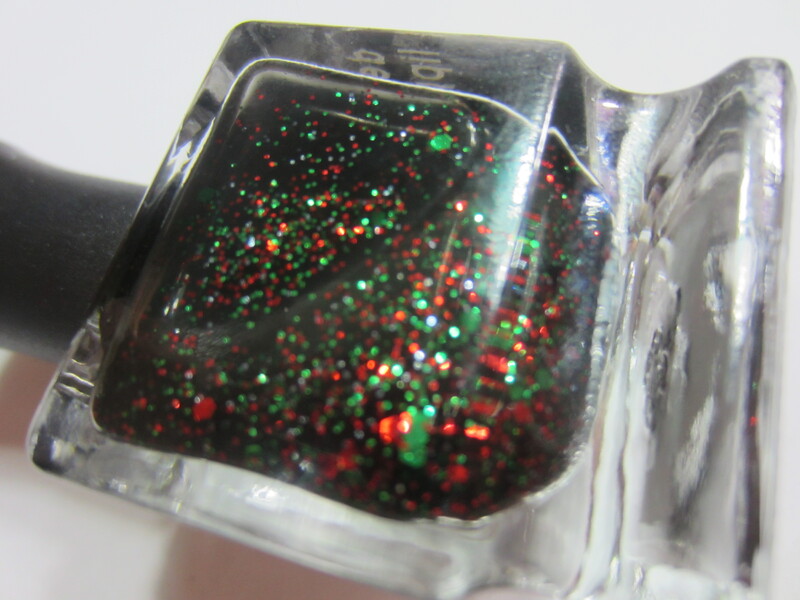 I had to have the red and green glitter polish! And the fact that all the polishes had awesome Christmas song names was just icing on the cake. 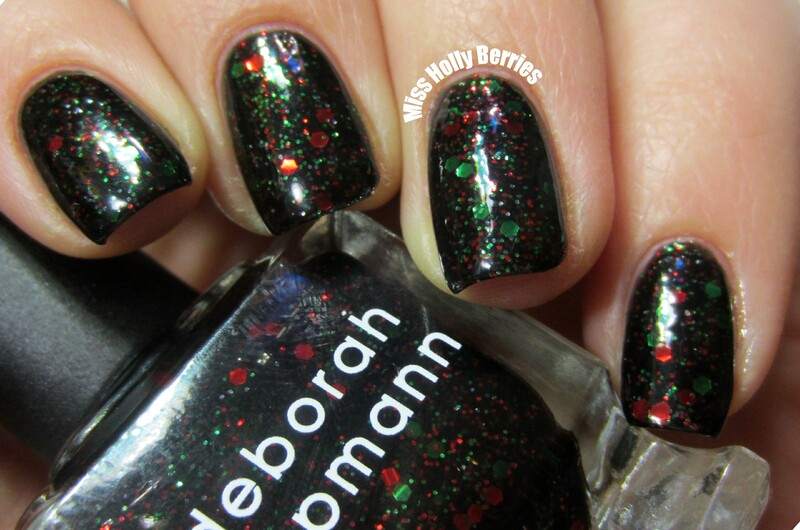 Deborah Lippmann “Rockin’ Around the Christmas Tree” is a black jelly base with red and green hex glitters and red and green microglitters. 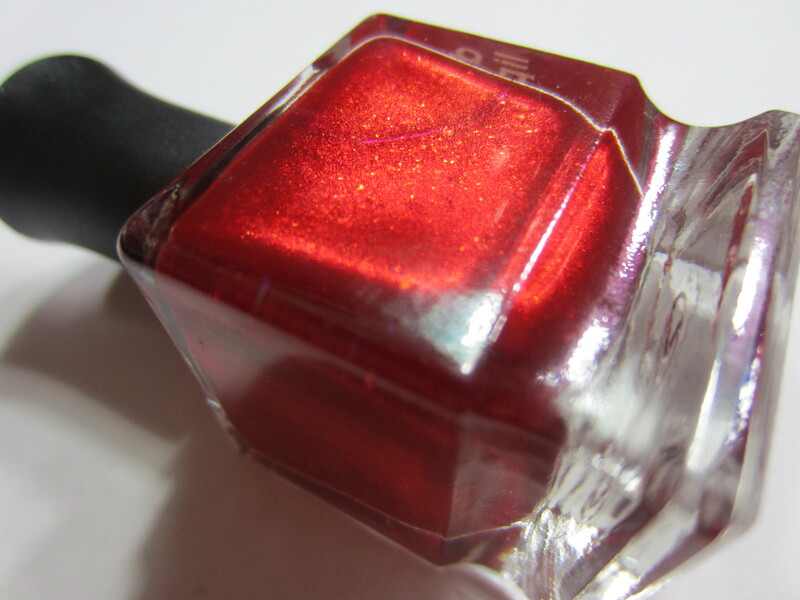 This polish is Christmas Eve night in the bottle! And it makes me think of the horror movie black Christmas! It was completely opaque in 2 coats, but it eats top coat! This is 2 coats of top coat in order to get the glossy effect. 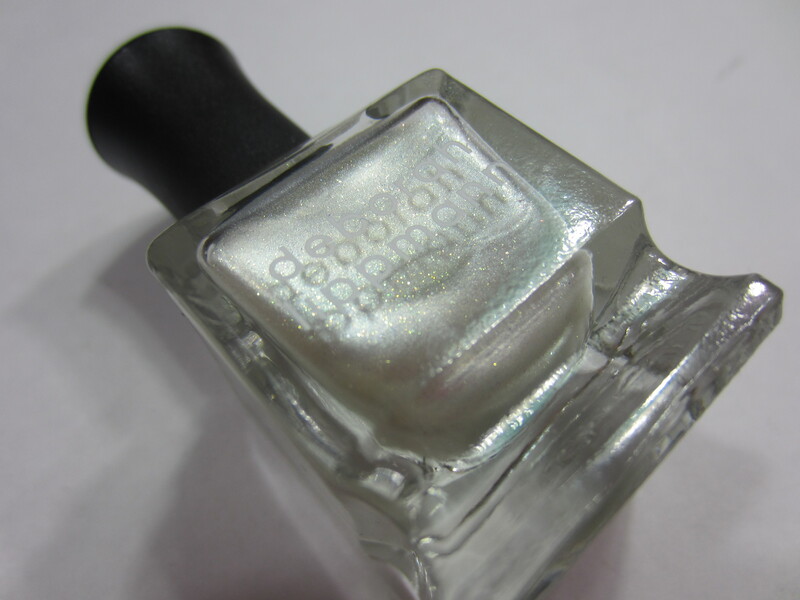 Deborah Lippmann “Let it Snow” is a frosty pearl with subtle gold microshimmer. This is a very pretty subtle shade. Its appropriate for work and looks kind of classy on the nails. But it is pretty streaky and very sheer. This is 3 coats and you can still see my visible nail line. 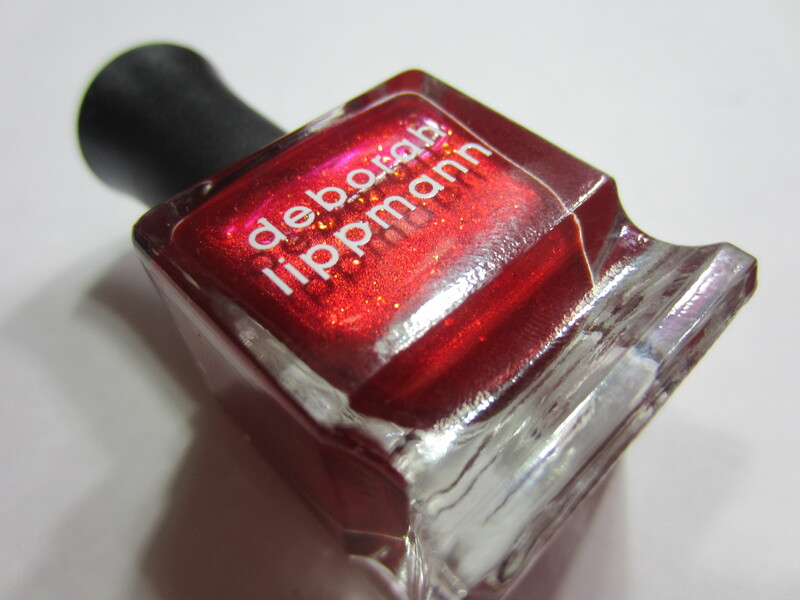 Deborah Lippmann “Run, Run Rudolph” is a bright cherry red shimmer with flakes in it. 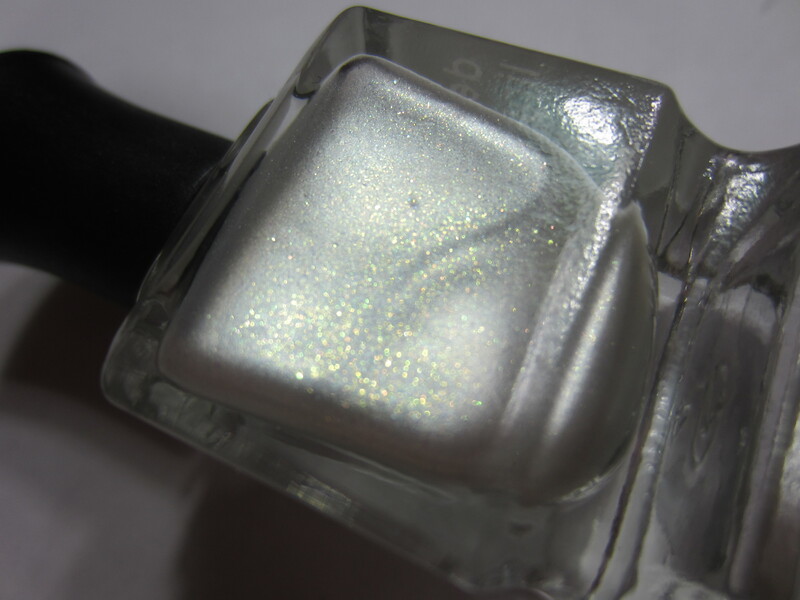 The flakes are more prevalent in the bottle than on the nail, but it does make the polish glow just a little bit more. The formula on this was amazing! It was almost a 1 coater! I think if you did a thick enough coat it would be a one coater. I paired it with China Glaze “Twinkle Lights” to add some more holiday sparkle. 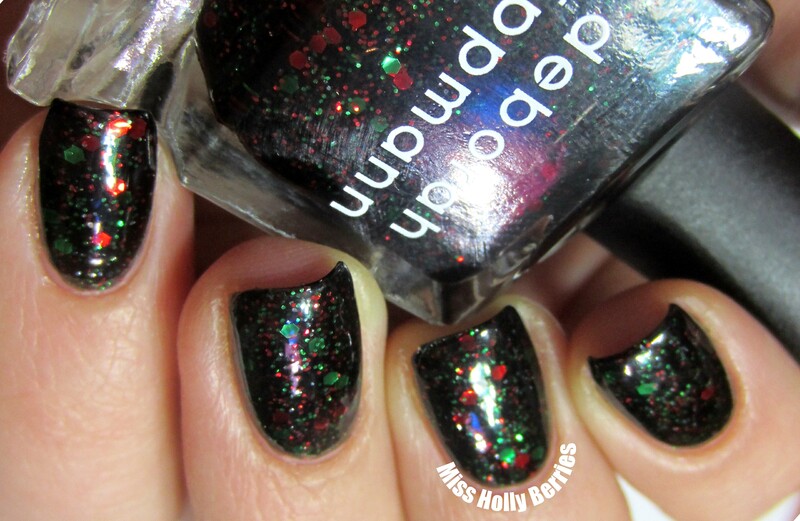 Overall, this is a great set and Rockin’ Around the Christmas Tree is the PERFECT holiday polish! I definitely will be wearing it a ton before Christmas Eve in 2 weeks. What do you guys think? Which is your favorite? Deborah Lippmann Spring and Summer 2013 Collection Preview! ← Urban Decay Naked 3 Palette Swatches and Review! I love Rockin’ Around the Christmas Tree! Rockin’ around the Christmas tree looks lush. I’m really loving dark sparkly colours at the moment. Really enjoyed your post.